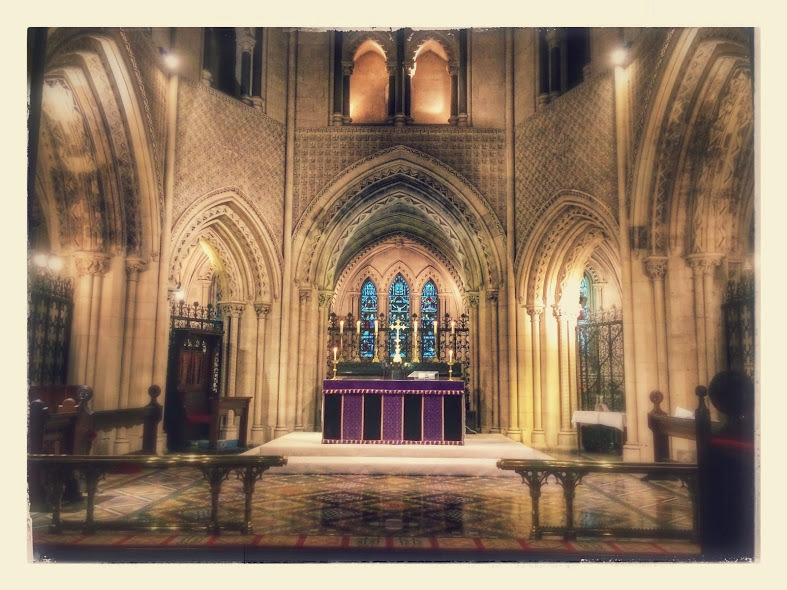 Advent begins today [27 November 2016], and this morning, on the First Sunday of Advent, I am presiding at the Cathedral Eucharist at 11 a.m. in Christ Church Cathedral, Dublin. The preacher this morning is the Dean of Christ Church, the Very Revd Dermot Dunne, and the setting is the Mass for Four Voices, by William Byrd (1540–1623), is being sung by the Cathedral Choir. Drop down, ye heavens, from above, and let the skies pour down righteousness. and our beautiful house, where our fathers praised thee. The readings are: Isaiah 2: 1-5; Psalm 25: 1–9; Romans 13:11-14; and Matthew 24: 36-44. A slightly revised version was also published in 1854 by Neale and the Revd Thomas Helmore (1811-1890), a one-time curate in Saint Michael’s, Lichfield, and a priest-vicar in Lichfield Cathedral, who helped revive an Anglican interest in plainsong or Gregorian chant, in The Hymnal Noted. The Advent Procession in the cathedral later this afternoon, at 5 p.m., includes Advent readings and hymns. On the first Sunday of Advent, we find ourselves in a unique position, standing both at the beginning and at the end, precisely at the turning–point of the liturgical year. This peculiar experience of living within a paradox is a characteristic of the Christian faith. However, perhaps the greatest paradox of Advent is the tension between the joyous anticipation of the birth of Jesus and the inevitability of the cross. In one sense, Advent does not end at Christmas. The nativity, the Incarnation, cannot be separated from the crucifixion, the Atonement. The purpose of Jesus’ coming into the world, of the ‘Word made flesh’ and dwelling among us, is to reveal God and His grace to the world through Jesus’ life and teaching, but also through his suffering, death, and resurrection. So, at the beginning of things, we think about the end of things. This evening’s readings reflect this emphasis on Christ’s second coming and include themes of accountability, judgement, and the hope of eternal life. The course of the service traces the witness of the prophets, of John the Baptist and of Mary, all of whom point us towards the birth of Jesus. and to make an end is to make a beginning. Journey to what? to whom? to where? I had to send one back. Oh dear! Is this a form of Christmas cheer? My pride gone in for advertising? By which we hail the birth of God. Enough of these unworthy cracks! ‘The time draws near the birth of Christ’. And not the Baby in the manger. I will compare this with the Lutheran service later this morning.